Born to hardworking immigrant parents, Prince Hood has taken the values of work ethic and honor instilled by his parents and developed a character that is solid and unwavering. As an MC he is a respected member of the dynamic duo known as H Squared. One of the more heralded one two punches on the NYC indie scene, the Swavorland Entertainment MCs have been tearing up stages and collecting recognition as well as awards along the way. As an executive, alongside his partner Hi$tory Him he has been an intricate part of the development of a roster which includes Punch Loc and Briel (formerly G.G. Adonis). The brand has ventured into promoting concerts with success of the sold out, In Music We Trust Concert, and now have teamed up with Smoke Dza, Vinnie Chase and Capital Campaign to put on The Offering Concert at Webster Hall. 2017 ended wonderfully for Prince Hood as the buzz around his MixtapeISHrelease and spins for lead single Swave On It grew exponentially. The track features Hi$tory, longtime collaborator Bajan Sparrow and is produced by Hit maker, Jahlil Beats. 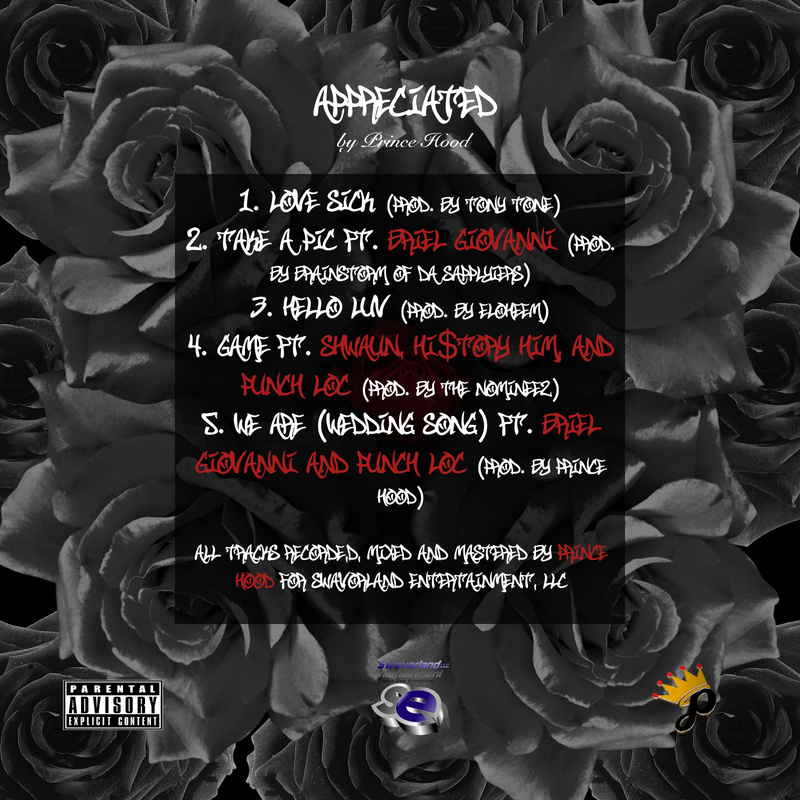 Never one to miss an opportunity to capitalize, Prince Hood has brought the summer in by releasing a new project Appreciated which is currently available on all major retail platforms.